If you have been speaking to your Arizona family law lawyer, and you have determined that child support is not out of the question when you ultimately get divorced, then you know that there are certain child support rules that are governed by the Arizona Child Support Guidelines. These guidelines are used for establishing a formula that will calculate child support regulations that the courts must follow unless there are special circumstances. This is a relatively simple formula to follow, but the variables that are put into the formula are not always easy to determine. Here is some information about calculations of child support in Arizona. The first thing you need to know is that the court is required to establish guidelines for the amount of child support that is to be paid. Once they are established, the court must review them every four years. This is to ensure the determination of appropriate child support amounts. A team of lawyers reviews the guidelines every four years and if there are changes that need to be made, the draft them and the court reviews the revisions. If they are appropriate revisions, then the court adopts them and the new child support guidelines are then put in place. Under the new or original guidelines, there are plenty of factors which help determine the child support rules and regulations, as well as the calculations in Arizona. Things that are taken into consideration are each parent’s monthly gross income, the number of children who are involved in the child support agreement, the amount of time each parent will have custody, medical insurance costs for the children, and work related child care expenses. For the amount of variables there are, parents rarely argue over them. They tend to argue over the price itself and how much each of them will be paying monthly. If they want to refute the amount which they have to pay, then they should challenge the variables, because all of these things affect the formula. The most common argument that occurs between divorcing couples is the income of both or one of the parents to be used in the formula. If one parent is unemployed, and therefore has no income, then that parent may argue to have the formula calculated for zero income for him or her. Although the circumstances are sometimes different, if that parent is unemployed by choice and not due to reasonable causes, the judge may not take this into account when trying to determine the variables for the formula. The parents will always have drastically different opinions and present evidence to hinder the other. Some other things to consider are if the parents have overtime or shift differential pay. These should be included in the parent’s income. If one of the parents gets overtime or shift differential pay, then they of course would not want this in the child support calculations because that could mean that they will end up paying more. Ultimately, the decision rests with the judge on whether or not to include the extra income. It may or may not be enough to count, and it could also be circumstantial. Self employed parents are also difficult to deal with. Sole proprietors and other owners typically have the ability to influence the profits they earn on their financial statements. Sometimes, cash statements aren’t deposited and therefore are never included in the books. Personal expenses could also be documented as business expenses, therefore decreasing the profits. Overall, this is a tricky variable to consider in the child support calculations. In some cases when self-employed owner goes to extreme lengths to hide their real income, examination by the lawyer might not be enough to get this particular variable locked down. Hiring a forensic accountant is sometimes necessary in this endeavor. They will have to examine that parent’s taxes, bank accounts, and other expenses in order to figure out just how much that parent is hiding and what their real income may be. 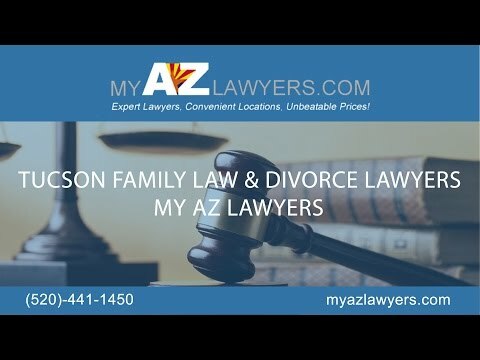 For the best Mesa Family Law Lawyers and help with calculating your child support agreements, come to My AZ Lawyers, where we can help you determine what is right for your children and just how much you will need to pay for Child Support. With fair, honest lawyers, we know just what to do in order to help you with your child support. Contact us today for more information.